So, Does Anybody Wanna Play Parcheesi or Super Mario Bros.? The new Ghostbusters might be an unusually (and unnecessarily) controversial film, but there's one completely normal thing about its promotional run-up: a hastily cobbled-together tie-in game! This new Ghostbusters game obviously lacks the Ramis and Ackroid touch that helped make 2009's Ghostbusters: The Video Game a fun romp. Nope, this top-down dungeon-crawler is generally inoffensive, but lacks the design chops needed to be a good game and the writing chops needed to be a good Ghostbusters game. If you've always dreamed of playing an SNL alum turned paranormal exterminator, dream on. 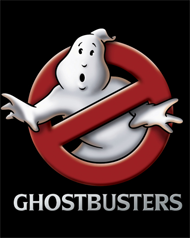 Ghostbusters avoids both royalty payments and sexist controversy by providing players with a gender-balanced team of nameless 'Busters who merely reference the legendary exploits of the new movie's team. Their voice actors gamely try to grant them fun personalities, but the poor saps are working with a script that's stiffer than EPA Agent Walter Peck's clipboard. Do yourself a favor and play with the sound down. The subtitles don't work 80% of the time, but I consider that a feature. At least our 'Busters have colorful, fun character designs, and the ghosts they're hunting look pretty good, too. 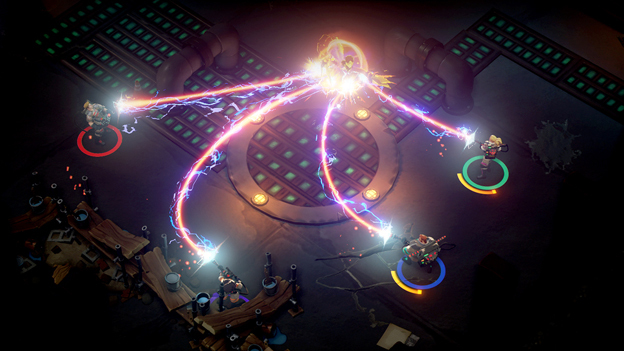 The game has an attractive, cartoonish style reminiscent of the dungeon-crawling classic Torchlight. It's too bad that the areas you're exploring lack the creative flair of their spectral inhabitants, tending to blend so far into the background that you'll forget whether you're in a haunted graveyard, haunted mansion, or haunted subway station. It can be difficult to make a top-down game's locations interesting, but a bit more effort in that area would have been appreciated. There are tons of interesting places in NYC that the movies haven't even touched, and some of those would have been far more interesting set pieces than the generic locales found through most of the game. Forget the scenery, then. Let's bust some ghosts! 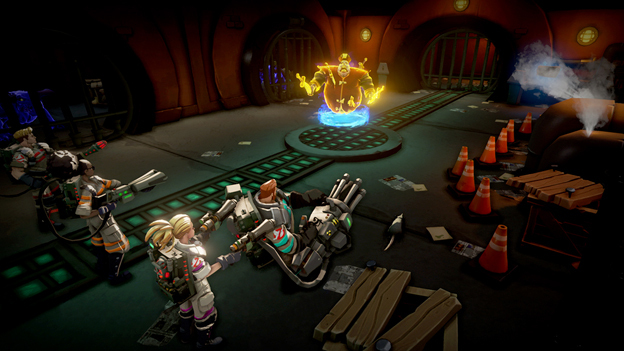 You'll choose one of the four Ghostbusters, each of whom has a different main weapon and grenade type. Those are the only functional differences between the characters. They all have the same RPG-light character progression options , which boil down to standard and uninspiring buffs to speed, damage, etc. Your three fellow Ghostbusters tag along with you, but they're mostly useless if they're controlled by the AI, tossing grenades at empty air and generally failing to be much more than target dummies for the ghosts. Defensively, you have a dodge roll, which fits well with the highly mobile fights. It's the only agile part of the control system, though. You'll be dealing with a somewhat plodding movement speed (going down to extra-plodding when you're using your scanner to search for secrets) and aiming that doesn't feel quite right. I couldn't figure out if the aiming system was semi-sticky, pointing me towards ghosts I wasn't actually trying to aim at, or if it just wasn't very precise. I found it helpful to play the Ghostbuster with the shotgun, since she'll usually hit something if you point her in the right general direction. You'll encounter plenty of small ghosts in each level, and those can be summarily dispatched with your weapons. When you meet a mini-boss or final boss, however, you'll have to wear them down, then play the capture mini-game. This involves tilting the right stick in various directions as indicated on the screen so you can build up "slam power" and smack the poltergeist around until it's time to catch it. I hope you enjoy this mini-game, because you'll be playing it at least ten times per level. If you're a real glutton for punishment, you can multiply the experience you get for a capture by furiously tapping a button during the capture animation. I'd rather get slimed. And that's about it. Yep, the entire game involves exploring a few non-randomized locales, killing small ghosts, and playing the exact same capture mini-game after wearing down boss-class ghosts. Your enemies do have unique skills that you'll quickly learn to deal with, but otherwise this is a purely rinse and repeat affair.